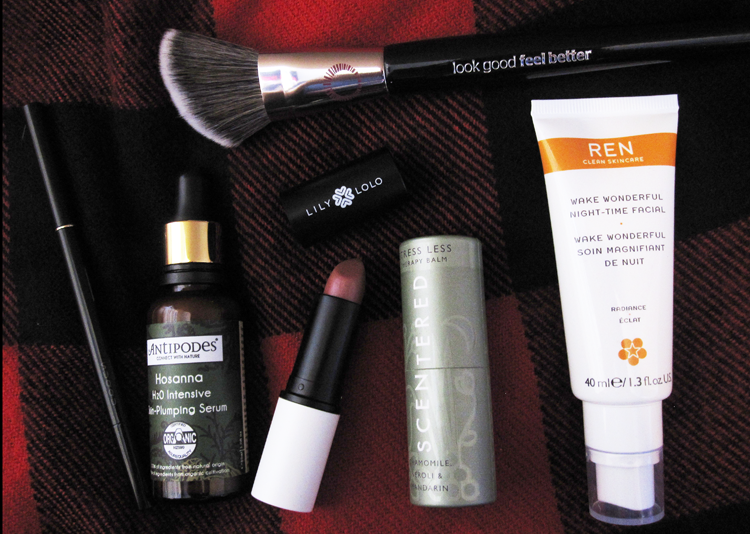 Another month has passed us by, so it's time for me to share my October Favourites. It was a great month for new discoveries so this edit features a good mix of both makeup and skincare. If you read my Halloween Makeup Essentials post the other day, you'll have seen that I raved about this little gem which I've been using for around 6-7 weeks now. It has a super slim end that allows you to fill in those gaps between your lashes so it's one of best eyeliners I've used to date for tightlining and it stays put! This stuff is pure hydrating magic and a total cold weather saviour for my dehydrated skin. I alternate it with other serums and face oils, but if my skin is feeling tight or feeling parched, I'll apply a few drops of this and it immediately hydrates and plumps everything back up. Reviewed in full here. The prettiest and easiest to wear everyday shade that feels lovely and moisturising on the lips. I've been wearing a lot of Lily Lolo makeup recently and this lippie is definitely a standout product from them. Reviewed and swatched here. I've been reaching for this brush virtually everytime I've worn makeup last month and I love the versatile it is for using with bronzers, contours and blushers. The bristles are super soft so it's always a pleasure to use it! Reviewed with the Blush Brush (which is also excellent) here. My favourite product from last month's Naturisimo Discovery Box, this 100% natural balm stick has been a handy work desk staple for when I need to need to relax and re-focus on things. Lastly, I wanted to include REN's Wake Up Wonderful which I featured in my 'What's On My Bedside Table?' post earlier in the month. I've been using this usually once a week for a quick fix whenever I've felt my skin has been looking a bit dull and as it helps to brighten up my complexion. I haven't actually heard or used any of these before! The angled contour brush looks great, I find it so much easier using that shape for blush! Definitely, such a good shape for blush! All of these look so lovely! Ren is such a great brand. I have a couple of Look Good Feel Better brushes too and love them :) The gel liner also sounds right up my street!